We love our studio on Main Street in Ehprata but check out the places below where you can find us outside of the studio! Do you need an on site party? Email or call to see if we can accommodate. The Lancaster Art Studios exist to provide art to the community and community to the arts by using the combined skill, knowledge, talent and vision of its members to better themselves and the art scene in general through shared ideas, collaboration, and critique. Pepe's Pizza is a family owned restaurant with traditional family recipes. 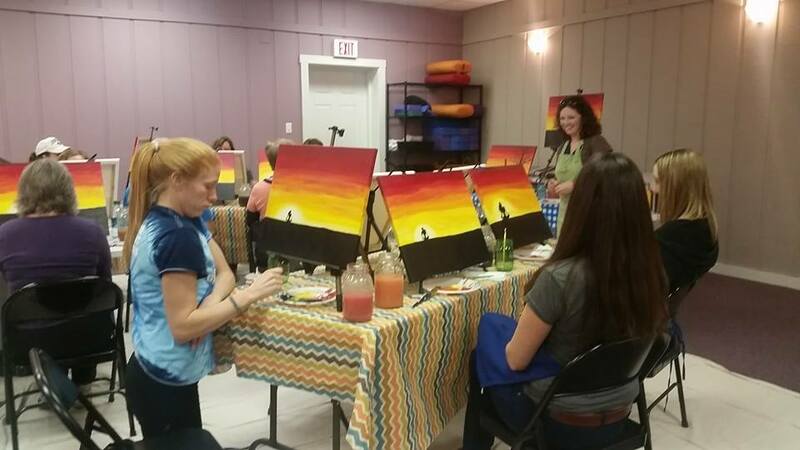 Join us one Thursday a month for painting fun and great food! View our paintings in our Gallery or send us a request @ squeezespot@gmail.com. Must specify the Lancaster Location. This will be dependent on availability based on Lancaster Art studio Availability.